Big city conveniences makes one spoiled. Yes, it’s true! In big cities you may have the big chain supermarkets just down the street and you may also have your favorite barista that draws smiley faces on your cappuccino cup. But these conveniences can, unknowingly, keep you complacent. Leading you in a rut, feeling run-down, and pretty much prosaic. On the reverse side, small town conveniences is oxymoronic at best. There are far and few conveniences. But dealing with inconveniences is what make small town living fun! Aside from a few mom and pop stores, small town options are limited. But in its limitation can your imagination and your creativity soar, especially when it comes to keeping yourself fit. 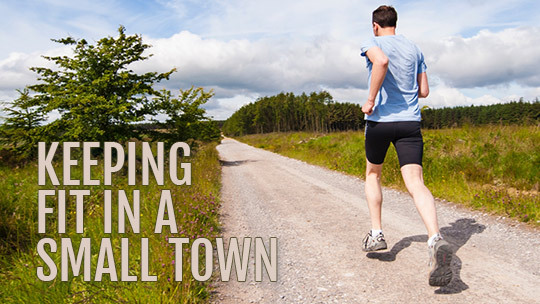 What are the best ways to keep fit in small towns? As you may have gathered when passing through a small town, that many of these towns look alike; they lack the big chain stores or memorable congested streets, but in actuality small towns are quite unique. Small towns offer one thing that many big cities don’t have: that’s nature! Residents in a small town are free to explore the vast amounts of nature surrounding them. It can be lakes, nature parks, woods, valleys, mountains…Many of these natural spots are the perfect place for a respite from the everyday, to rev-up one’s cardio or even keep strength-training exciting. 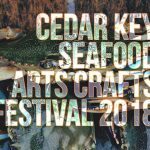 Below we’ve listed a couple outdoor activities that will keep you fit and close to nature in small town USA. Regina Dicharia practicing Yoga near Lake Santa Fe, Keystone Heights. Lakes are a defining note in Keystone Heights area. Bodies of water attract many outdoor enthusiasts, especially outdoor yoga enthusiasts that enjoy experiencing a natural fluid scenery. 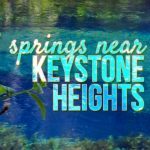 For the folks in Keystone Heights, these natural amenities are bountiful. A popular place in Keystone Heights to do yoga is at the shores of Lake Santa Fe. 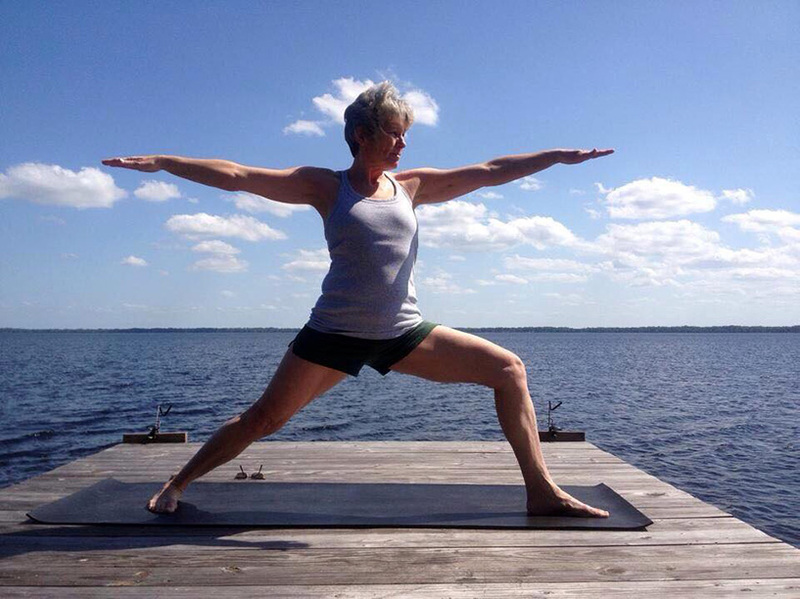 Regina Dicharia, a certified Yoga instructor, knowledgeable in Ashtanga and Iyengar yoga, uses the restorative and calming characteristics of the lake to teach her students how yoga can support health and mood. Regina is also a teacher of Curvy Yoga – a practice of yoga for all shapes and sizes who want a body affirming routine that supports them internally, allowing them to personally explore what body acceptance means. Runners accept challenges, especially when the main challenge is to keep fit. You run to exert yourself and test the limits of your body. But when you’re running everyday on the same path around a track, boredom creeps in…and this will eventually lead to mental fatigue and the possibility of quitting increases. 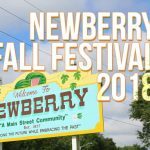 Blazing a trail is a perfect saying when it comes to running in a small town; you’ll likely be the first or at least one of the few that venture into the wilderness for that run. Running outdoors provides that necessary Vitamin D and feeds your mind additional stimuli so it won’t revolt and lay you back on the couch. 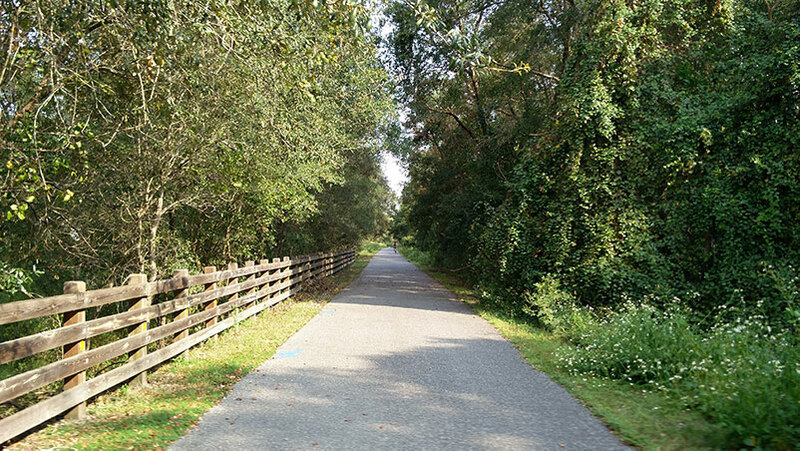 In Keystone Heights there is a nineteen mile trail that goes west and east (Palatka-to-Lake Butler State Trail), perfect for those long distance runners looking for beautiful natural scenery. Soon, a new trailhead will appear in Keystone Heights, which will facilitate those riders and runners on the trail a respite from the sun, also it is said it will have a playground and solar-powered mobile device charging stations. Chores are always going to be there. Taking the garbage out, mowing the lawn, chopping a fallen tree…the chores will always be there if you own your home in a small town. 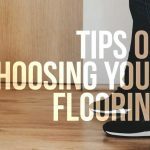 Make use of chores’ laborious nature and do it with an over-exaggerated gusto – this will help you keep fit and keep your home looking tidy. Keeping fit doesn’t take a lot, especially when you’re in a small town. The options are almost endless if you venture outside and look around to see what activities you can do to keep fit in a small town.